We are gearing up for Quarter 3 Exhibitions starting on Monday afternoon! 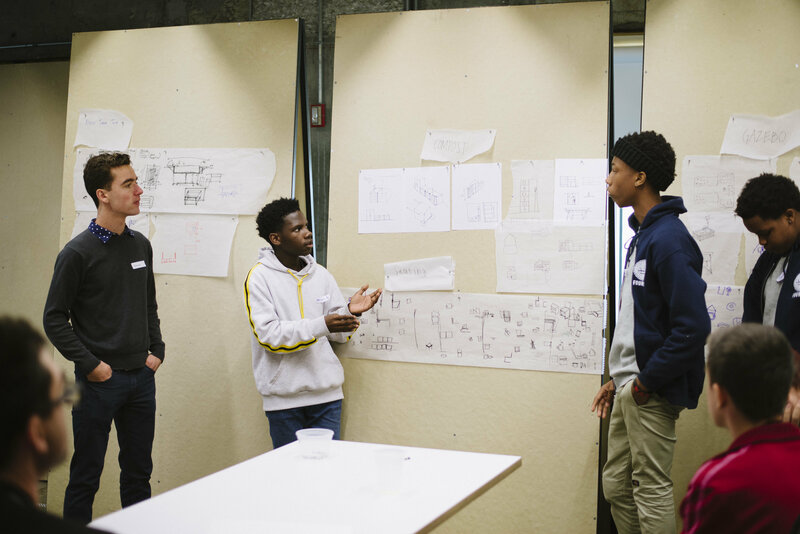 Find out about passion-driven project-based learning and why students thrive when they are able to express themselves through authentic academic inquiries. On Friday, March the 22nd students will not have school. Exhibitions will be complete by Thursday afternoon and students will be released at our regular time. Staff will be in professional development all day on Friday. 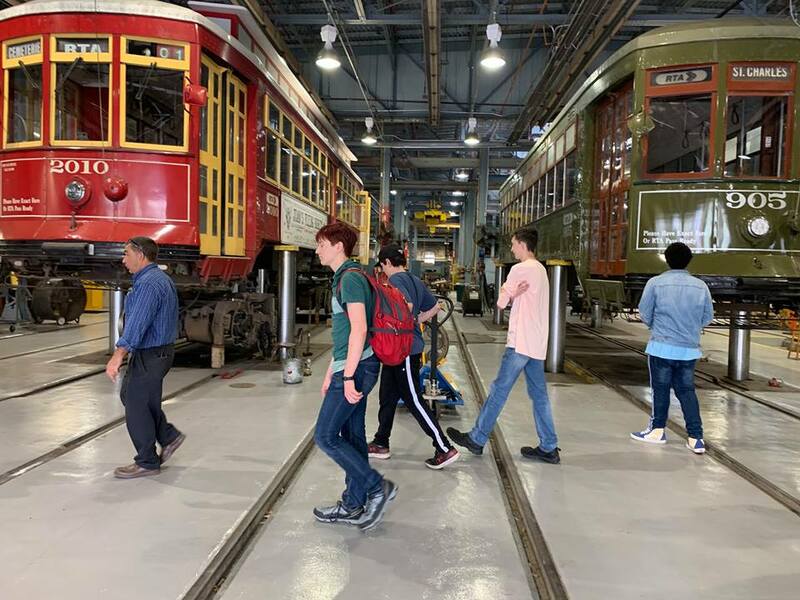 Yesterday, one group of students visited the RTA’s streetcar station on Carrolton where they learned about an integral piece of New Orleans’ historical legacy and the many ways it still contributes to our community in the present. 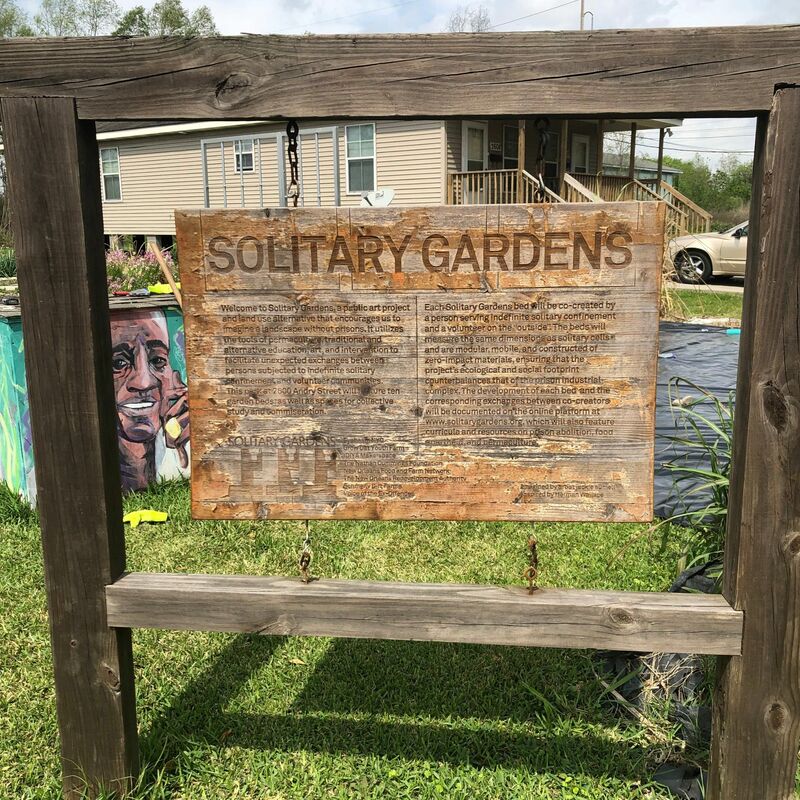 The other group visited Solitary Gardens installation on Andry Street in the 9th Ward. 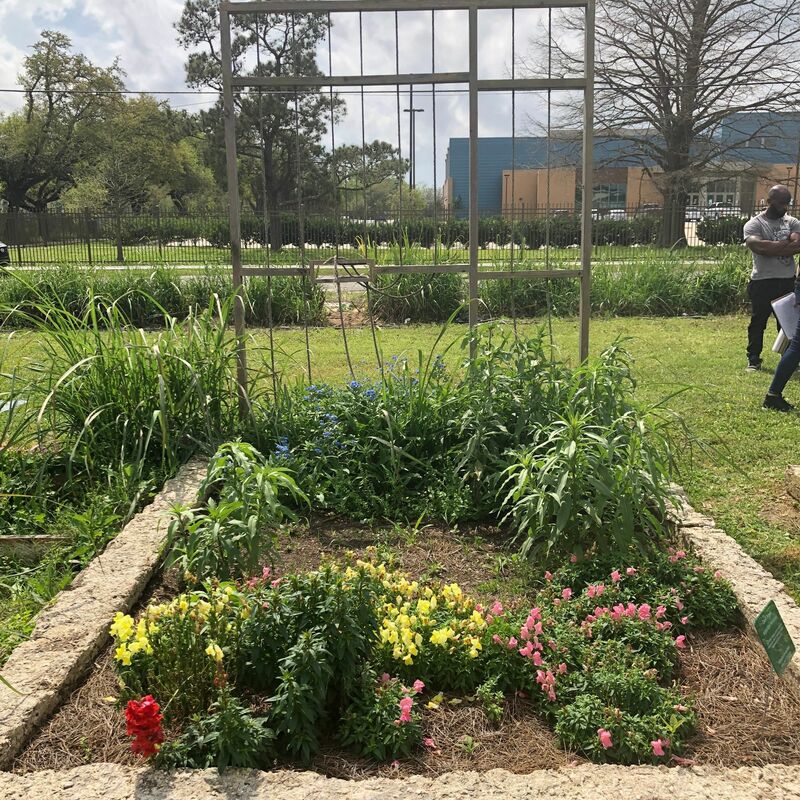 The garden features ten garden beds, the same size and footprint as prison solitary cells, and uses gardening and letter-writing as a way to connect and humanize the face of long-term incarceration.The Solitary Gardens are a social sculpture and collaborative project that cultivate conversations around alternatives to incarceration by catalyzing compassion by directly and metaphorically asking us to imagine a landscape without prisons.Students met with lead artist Jackie Sumell to learn about the project and the challenges it aims to address. 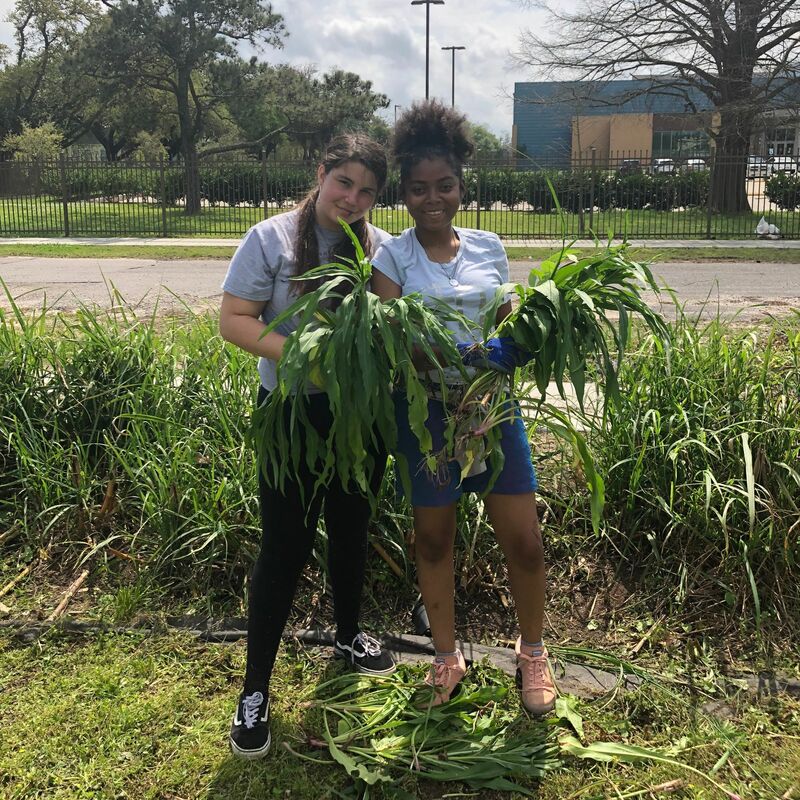 While there, they also helped maintain and cultivate the gardens to give back to our community. 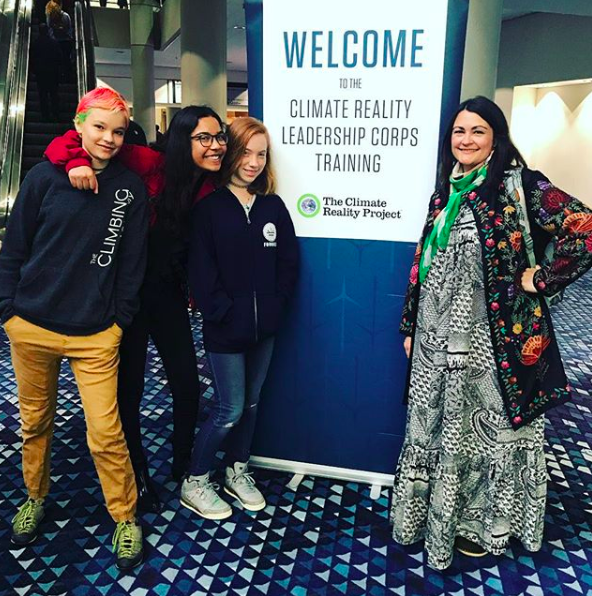 New Harmony School Leader, Sunny, took 3 students to The Climate Reality Leadership Corps Training this week. 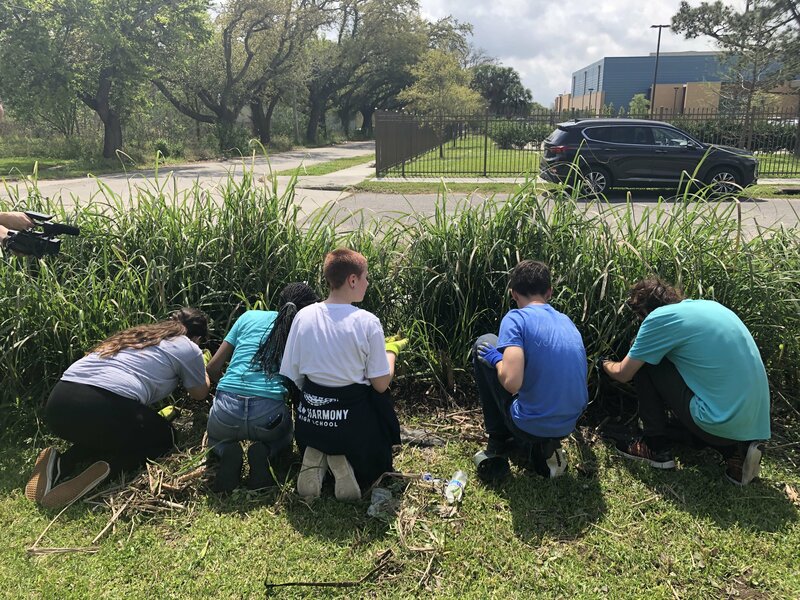 Students saw key note speaker former Vice President Al Gore as well as gained the skills, knowledge, and network to shape public opinion, influence policy, and inspire our community to act at this critical time. 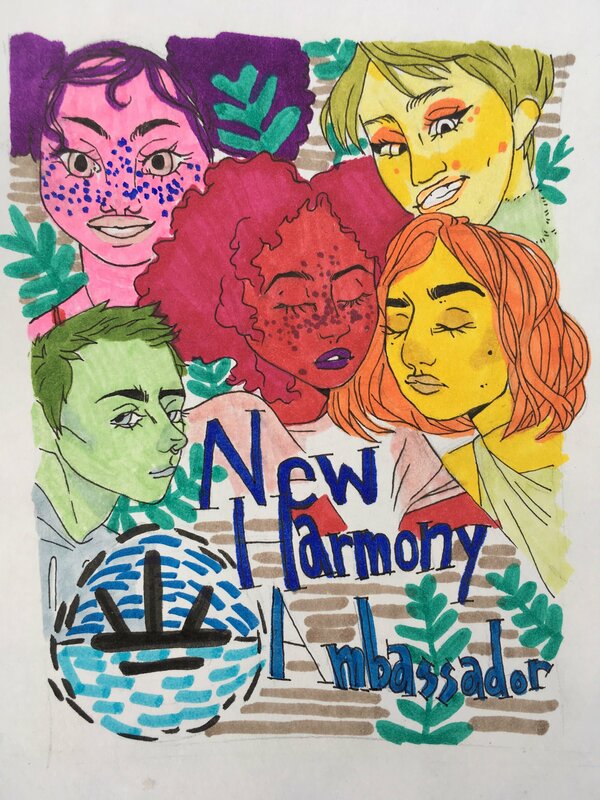 At New Harmony, students have the opportunity to work with local partners and community members through a fellowship. 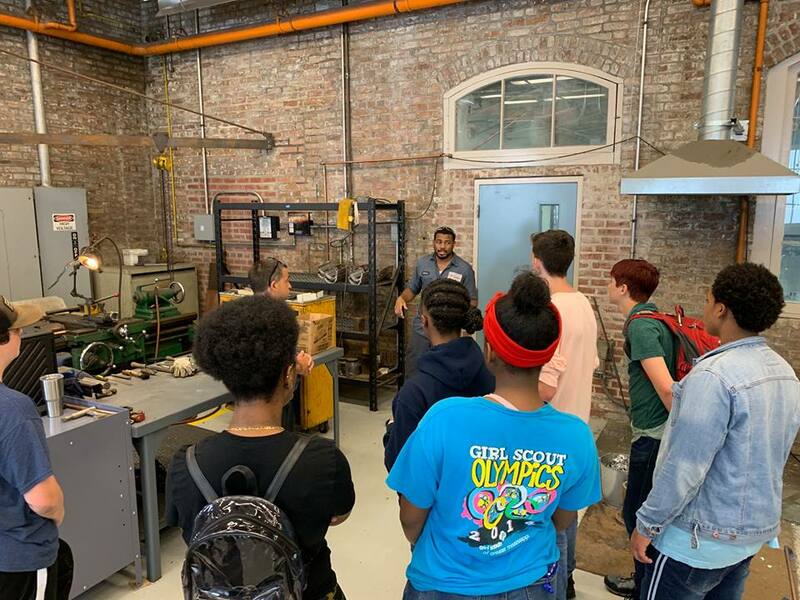 Tulane Pre-College gives rising 6th through 12th graders the opportunity to spend their summer exploring the topics and issues which excite them the most. 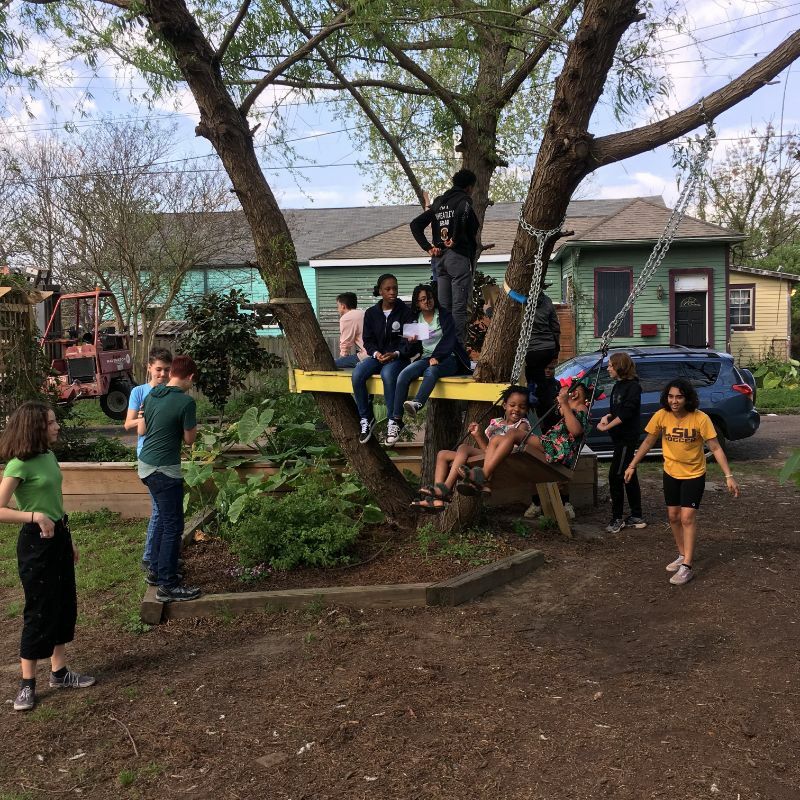 Unlike a traditional summer camp, Tulane Pre-College offers academic instruction and social growth in a uniquely fun and challenging environment. Your student will learn about the academic foundations of complex topics while building the skills they need to effectively solve problems. 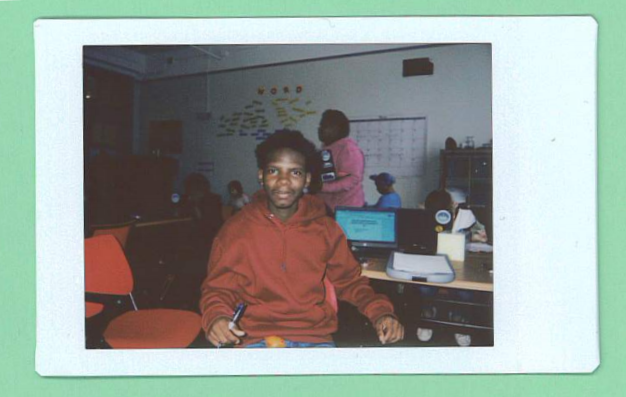 Helping others and volunteering because I like seeing people succeed. I learned that I like hiking and that I can be an outdoor person even though I hate being outside. I want to be an actor and work in government…The Supreme Court. People that have had a positive influence are Angel Cutno and two of my middle school teachers: Paul Lagann and Raymond Henry. They taught me classwork, but also taught me life skills and how to be a better person. They worked with me on developing my personality at my young age. Always say what’s on my mind. I like the relationships between teachers and students.